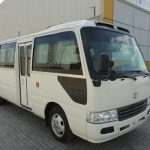 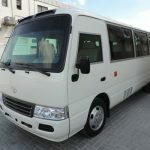 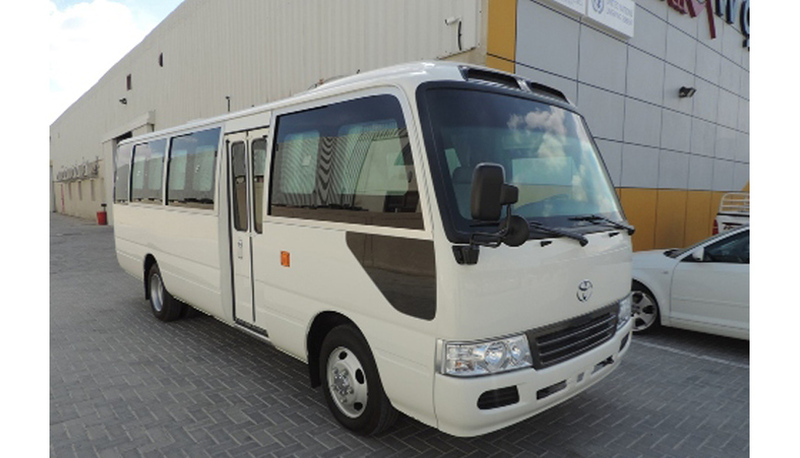 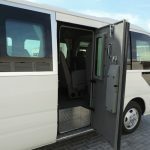 Armored Toyota Coaster passenger bus is fully armored and is an ideal vehicle for low- profile transportation of passengers in hostile environments. 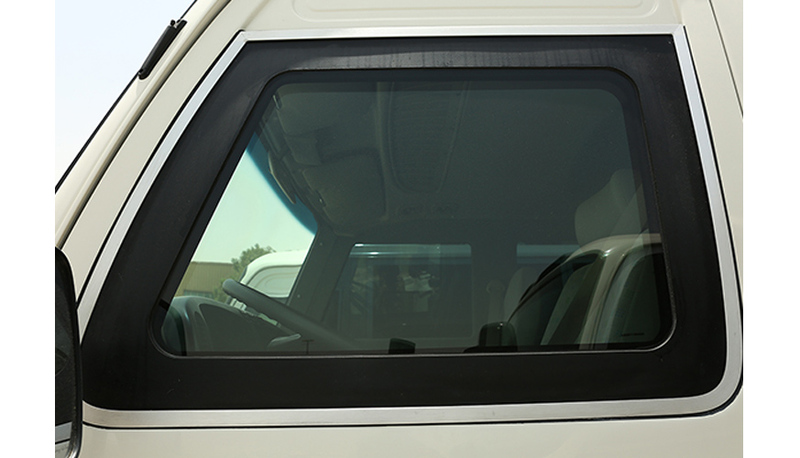 The vehicles OEM components are fully upgraded to support the full weight of armor without compromising the performance or maneuverability of the vehicle. 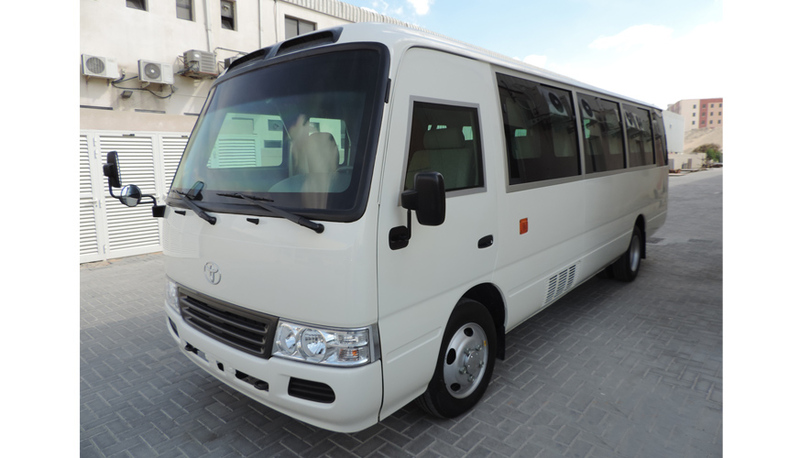 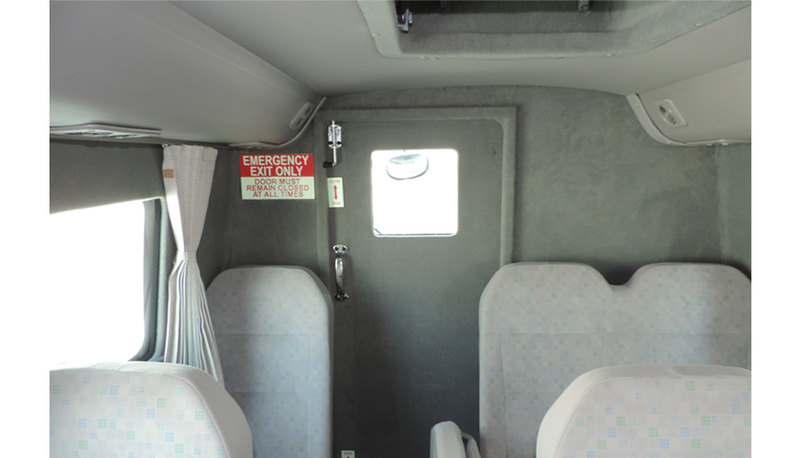 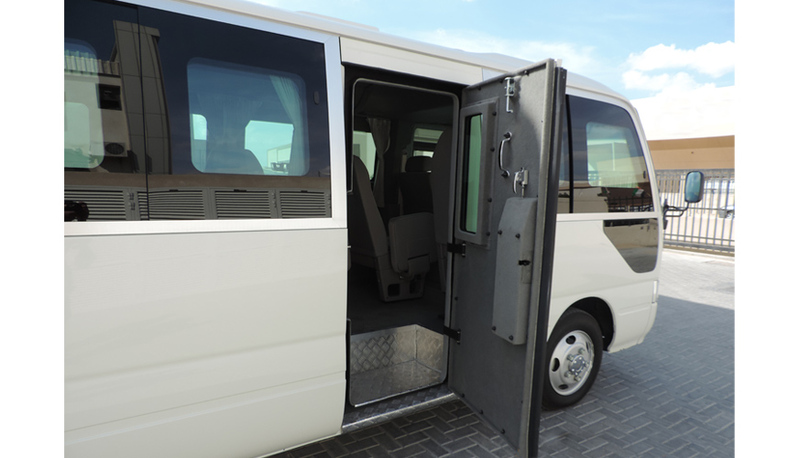 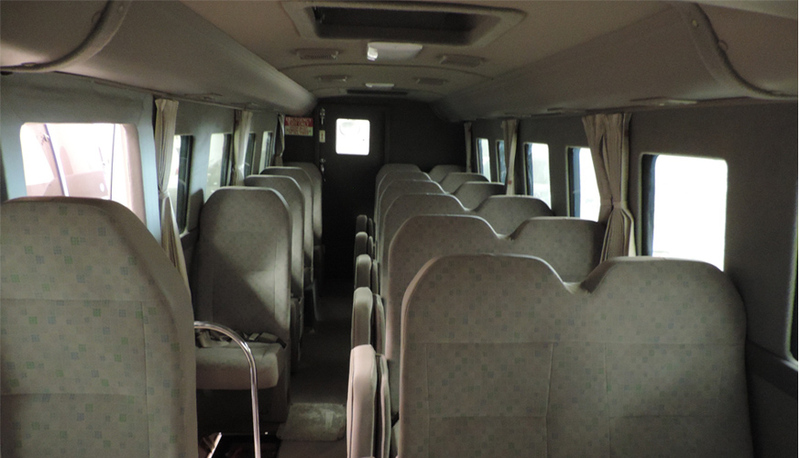 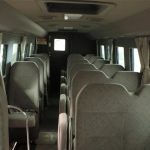 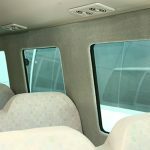 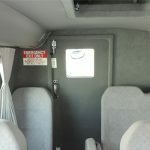 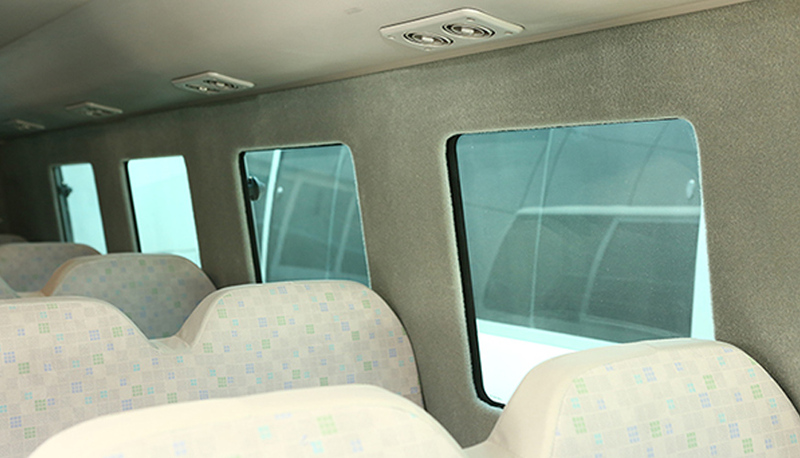 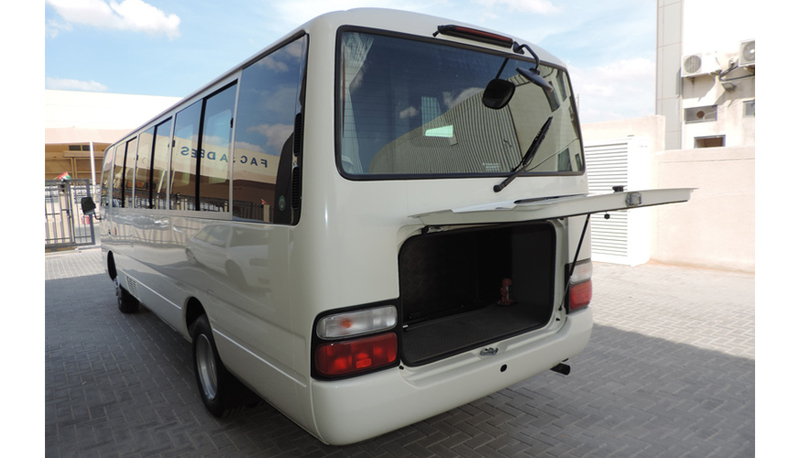 The Armored Toyota Coaster interior can be fully customized to suit particular customer requirements. 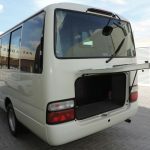 The armoring is integrated with the vehicle’s structure and is self-supporting so as to avoid excessive stress on the vehicle’s original structure. 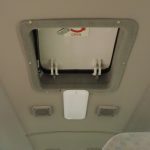 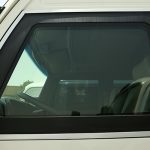 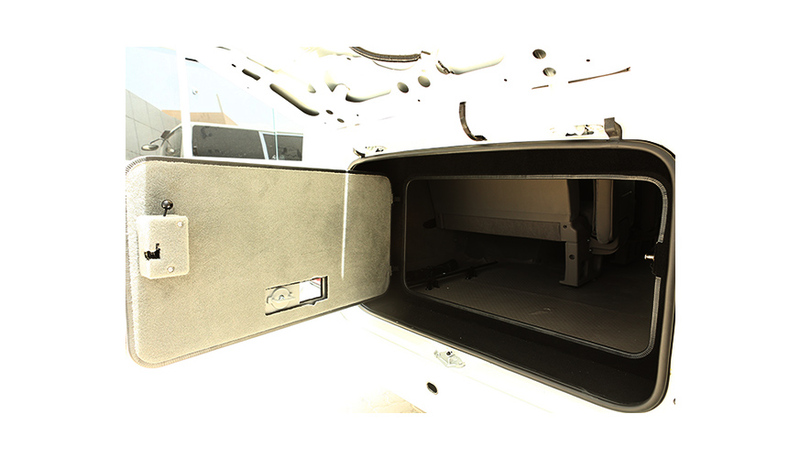 The interior armor-frame provides overlap for the large-surface armor components such as the door armor-plates and the windows. 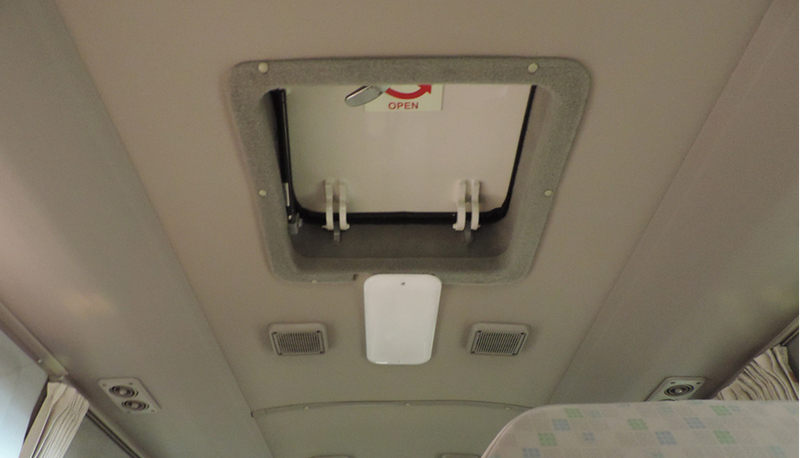 Hinge mounting points are reinforced both in the pillars and in the doors where applicable in a way that the armoring of the door is supported by the armoring of the pillar. 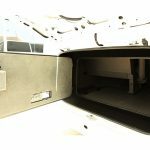 Fuel-tank, battery and ECU protected with steel armor-plates.